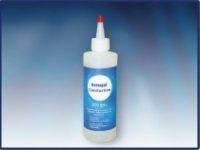 Kemagel® hydro-active colloid formulation is an amorphous hydrogel which gently re-hydrates necrotic tissue, facilitating autolytic debridement, while being able to loosen and absorb slough and exudate. It can also be used to provide the optimum moist wound environment during the later stages of wound closure. 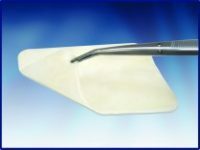 Kemagel® rehydrates necrotic tissue and aids debridement. Kemagel® absorbs slough and exudate without damaging fragile granulation tissue. 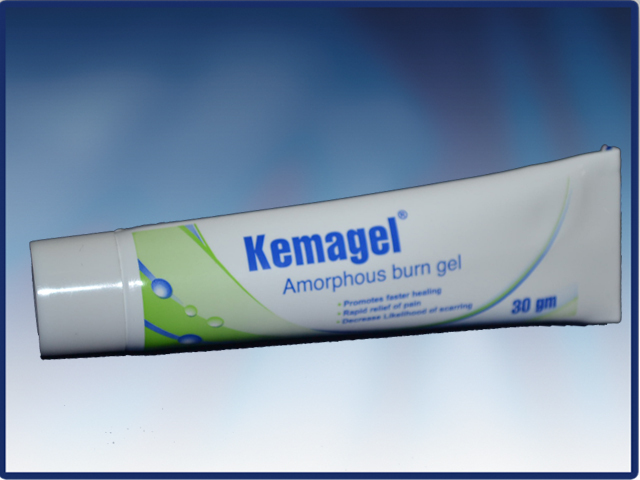 Kemagel® can be used for a dry or wet wound. 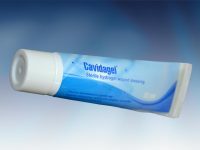 In case of a dry wound, Kemagel® turns the dry wound into a moist one (hydrogel effect). The dry wound absorbs the water contained inKemagel® and promotes the dissolution of necrotic/damaged tissue. In case of a wet wound, the hydrocolloid of Kemagel® is activated and consequently Kemagel® absorbs excessive fluid from the wound and restores the water balance in the wound (hydrocolloid effect). Kemagel®is used to create a moist wound environment for the treatment of minor conditions such as minor burns, superficial lacerations, cuts and abrasions (partial thickness wounds) and skin tears. Creates a moist wound environment which assists in autolytic debridement of wounds covered with necrotic tissues. Do not use on extensive weeping or infected wound unless recommended by your doctor. Please do not use in case of known sensitivity to Kemagel®or any of its ingredients. Kemagel®should be used with care in the vicinity of the eyes and in deep wounds with narrow openings (e.g. fistulas) where removal of the gel may be difficult. Kemagel®is for external use only and should not be taken internally. Kemagel®is sterile single use medical device. Reuse imposes risk of infection. Irrigate wound with sterile saline solution to clean wound site. Keep the nozzle tip clear of the wound surface; gently press the tube to dispense gel into the wound. Smooth the gel over surface of wound to a depth of approximately 5mm. Carefully apply the gel to the wound (without rubbing) once or twice per day. If necessary, cover the wound with a sterile plaster or dressing and change daily. Kemagel® can be removed simply and painlessly with wet gauze.